New Jersey Senator Cory Booker on Friday announced his bid for the White House. Booker joins a growing field of Democrats seeking their party's presidential nomination in 2020, including previously announced candidates former HUD Secretary Julian Castro, California Senator Kamala Harris, former Maryland Representative John Delaney, Hawaii Representative Tulsi Gabbard, South Bend, Indiana Mayor Pete Buttigieg, and Massachusetts Senator Elizabeth Warren. Former Vice President Joe Biden, New York Senator Kirsten Gillibrand, and Vermont Senator Bernie Sanders are also expected to seek the nomination but have yet to announce their campaigns. “The history of our nation is defined by collective action, by interwoven destinies of slaves and abolitionists, of those born here and those who chose America as home, of those who took up arms to defend our country, and those who linked arms to challenge and change it," Booker said in a video announcing his campaign. 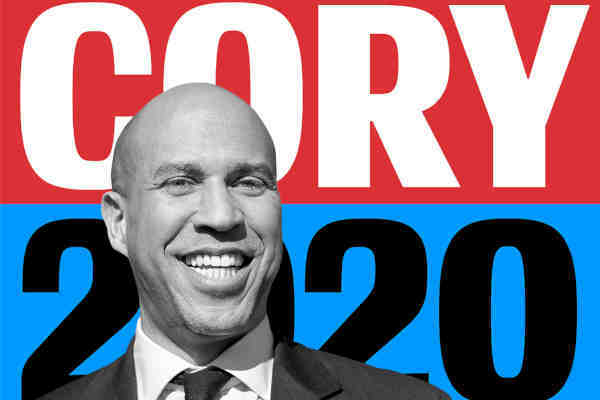 "I'm Cory Booker and I'm running for president of the United States of America." Booker is a vocal supporter of LGBT rights. His support for marriage equality goes as far back as at least 2011, when he recorded a video for the Human Rights Campaign (HRC) in support of efforts in New York and Maryland to allow gay and lesbian couples to marry in those states. As the mayor of Newark, Booker married the first gay couple in New Jersey after a court order took effect. His support for LGBT rights has led to rumors about his sexual orientation. Rumors he fanned in 2013 when he said that he's fine with people thinking he's gay. Last year, Booker, a 49-year-old bachelor who rarely discusses his personal life, told the Philadelphia Inquirer that he's not gay.